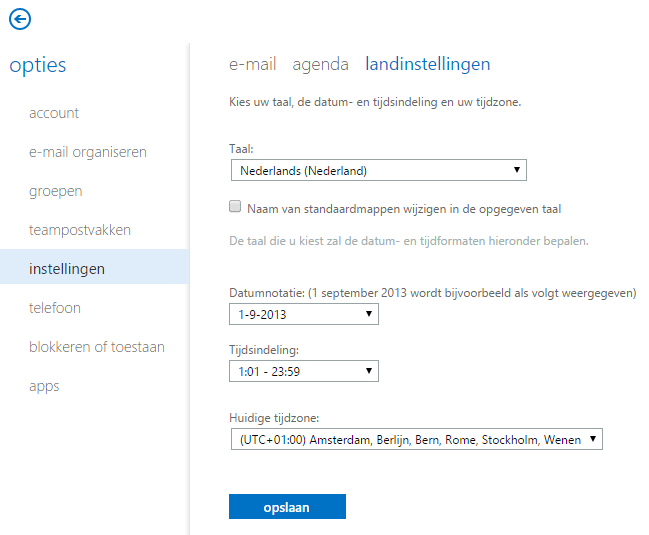 Sometimes users in Office 365 do not have the correct language. When logging in to Exchange Admin Console, you’ll see the console in a language you’ll not prefer (here it is in Dutch). Go to settings => Language => Change the preferred language.